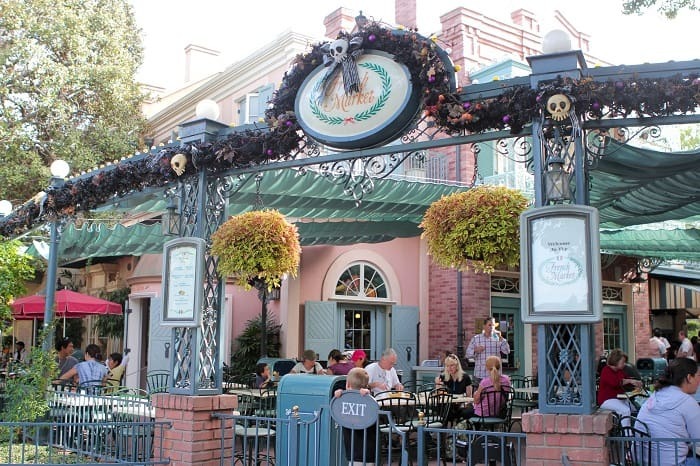 Let the Disneyland restaurant reviews continue 🙂 Today I will be reviewing the very charming French Market Restaurant in the middle of New Orleans Square, close to Pirates of the Caribbean, the train stop, and The Haunted Mansion. 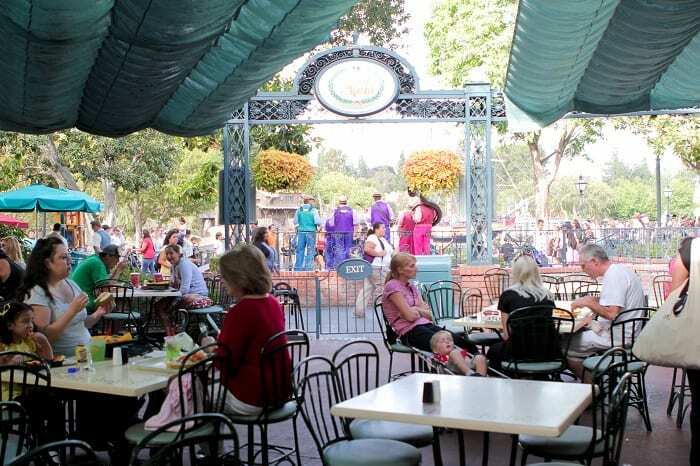 This is one of the nicer restaurants in the park with quite a large seating area outside. 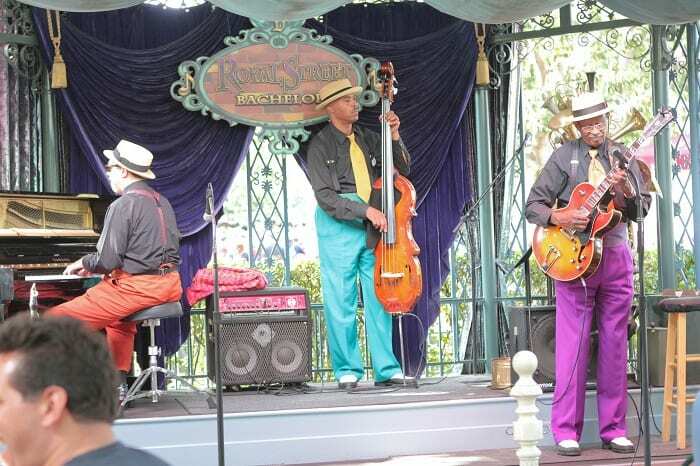 I love the feel of New Orleans Square, it full of festivites. 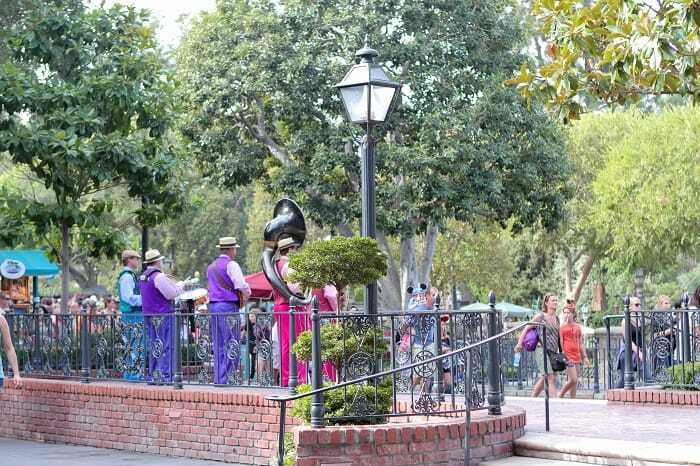 Whether a band is playing, princesses singing, or the sea of people passing by, it’s a great place to be. Let’s take a look at the menu below…. 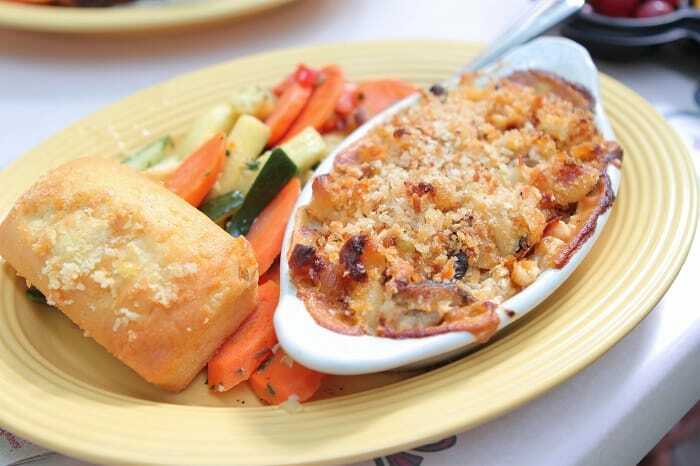 As you walk through the front door, you will grab your own tray and silverware then head down the line where the servers will dish up the food you’d like to order. 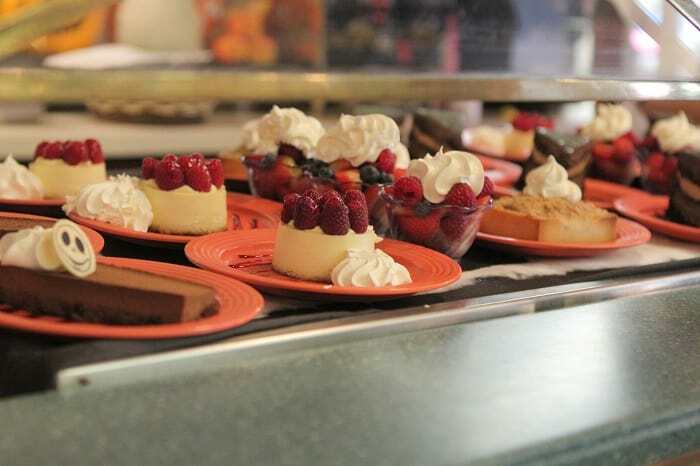 Here’s a glimpse of the desserts. 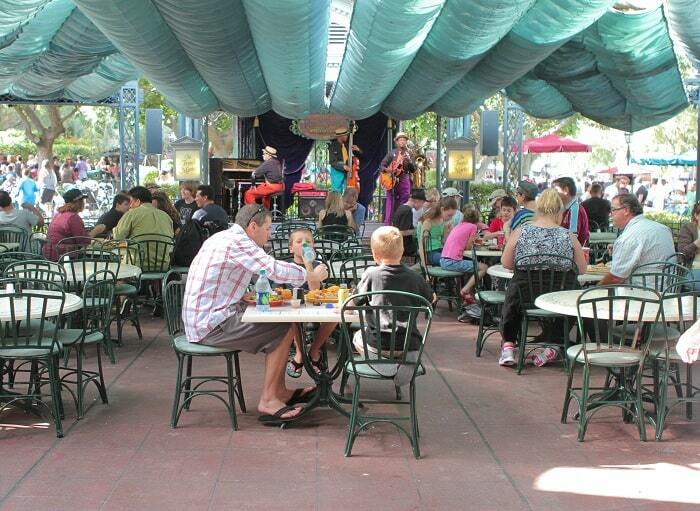 Once you purchase your food, you walk right out to this open outside seating with a live band. Very relaxing and inviting. Here’s a shot of the band. Love the colorful outfits! My husband and I shared the next three entrees. 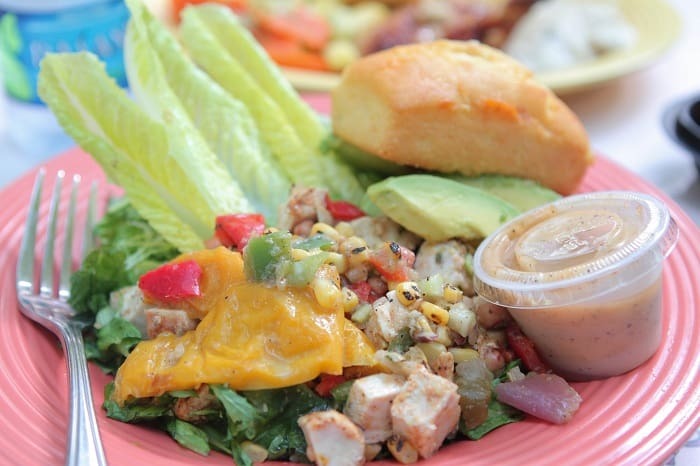 This one is the Dixieland Cajun Chicken Salad. Loved all of the colorful vegetables and the tangy dressing. I would order this again. 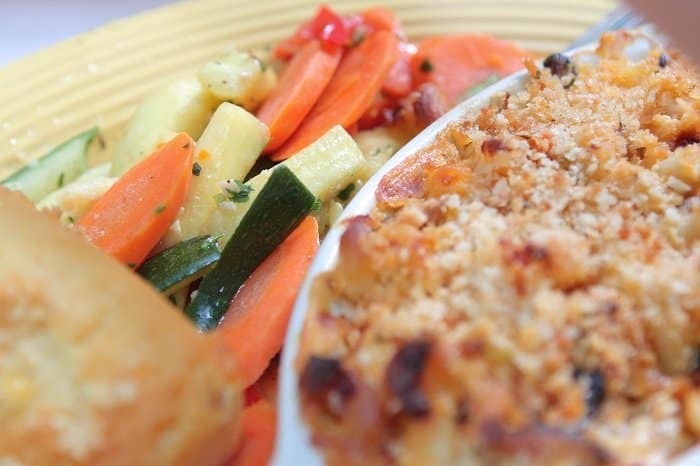 Here’s the Four Cheese Pasta and Vegetable Gratin. I was a little concerned that it appeared to be sitting under the warmer too long, but it actually had great flavor. 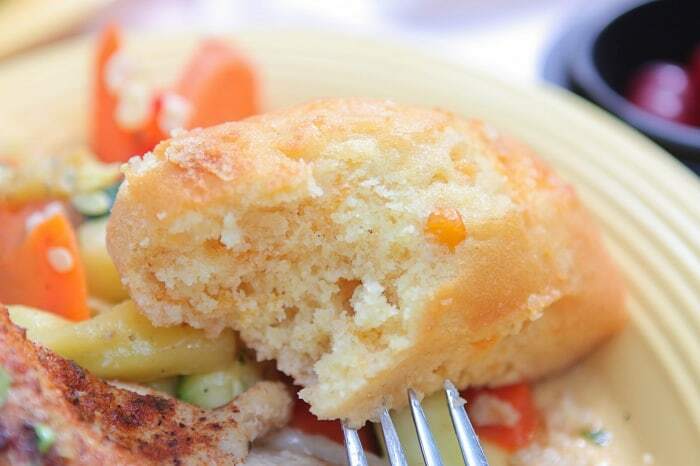 It comes with a nice chunk of sweet cornbread and steamed vegetables. There’s a closer look at the vegetables. 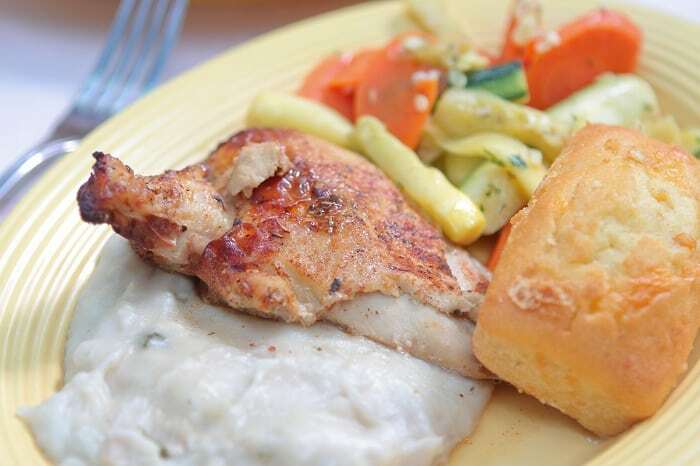 Here you have the Plantation Citrus Chicken with Smashed Potatoes, Steamed Vegetables and Cornbread. The big piece of roasted chicken was nice and tender with great flavor. The potatoes were good too. Here was another view from our table, lots of fun going on. 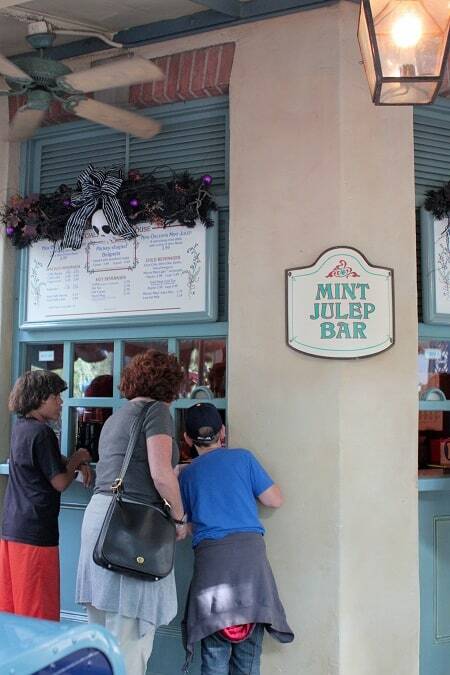 Before you leave, you absolutely must walk up to the Mint Julep Bar inside the restaurant (same sitting area) and get a few goodies. I almost passed it up and am glad I didn’t!! This is their signature drink they call the Mint Julep. It’s non-alcoholic of course. My boys and husband LOVED it. It’s sweet, sparkly and mildly minty with a cherry on top. Here’s the view as we were walking out, great place to sit down and enjoy a nice scenic dinner. 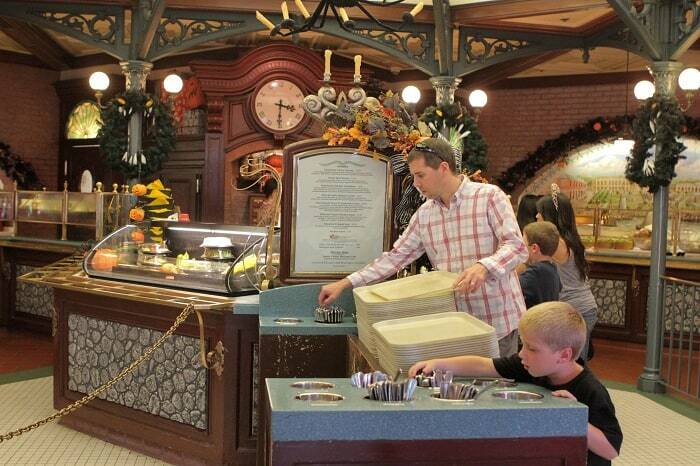 Hope you enjoyed a glimpse inside the French Market Restaurant. What have you tried that you loved or maybe not so loved? Let’s hear it! 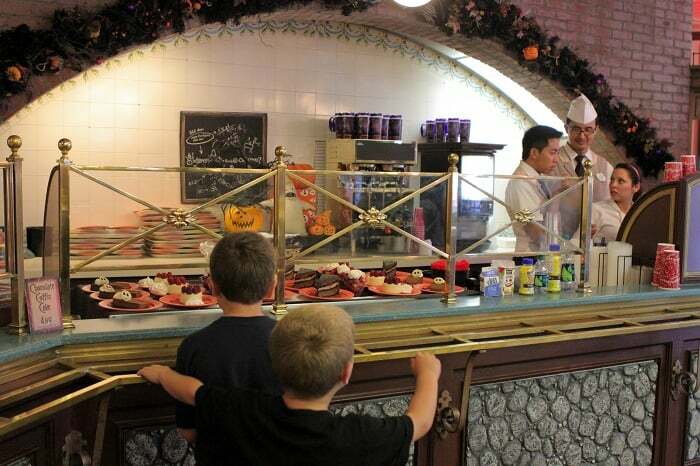 I absolutely LOVE eating at this place when in Disnyland. My family has been eating there forever. Every Disney trip wouldn’t be the same without going to get a Mint Julep! They are simply devine!! 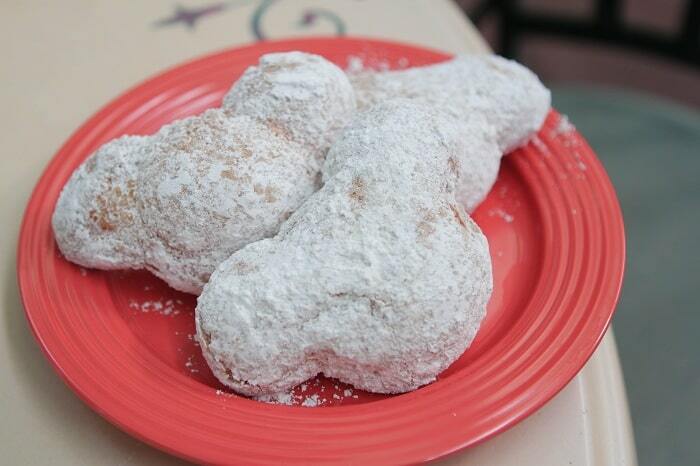 **Although I didn’t know about the beignets! Now I must go to get some. 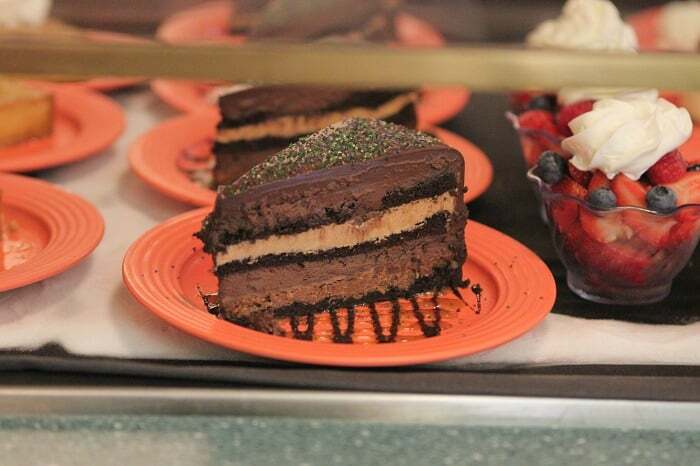 Thanks for posting all your Disneyland eats. I love reading about them. I love all of your Disneyland posts! I’m a Walt Disney World girl – but give me ANY Disney any time – and I’m happy! I’ve only been to DL once – but hope to go next year when California Adventure is ready. Heading to WDW in 6 weeks – and your posts are getting my more excited! 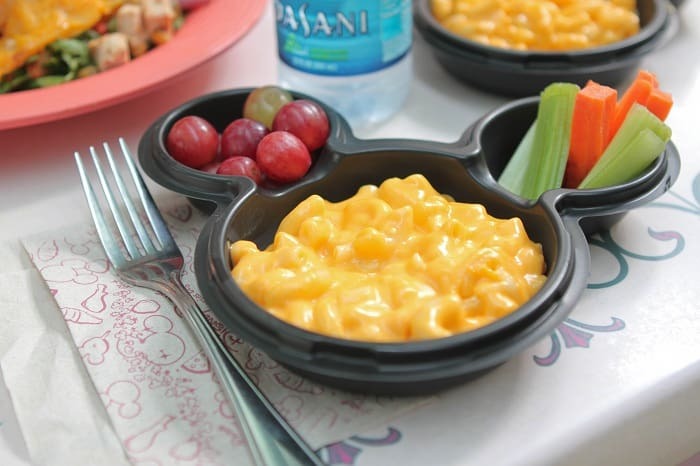 I am already thinking of my favorite foods at WDW and can’t wait to take pictures of them! I’m looking at food differently thanks to your fun posts! I am not a blog follower but you have changed me… I have started following your blog because I love these reviews of the Disney restaurants. We were in Disney 2 summers ago but were on a tight budget. We didn’t buy much food there at all. Next time we go, I am going to save up extra cash so that we can dine in style! 😉 Thanks!! 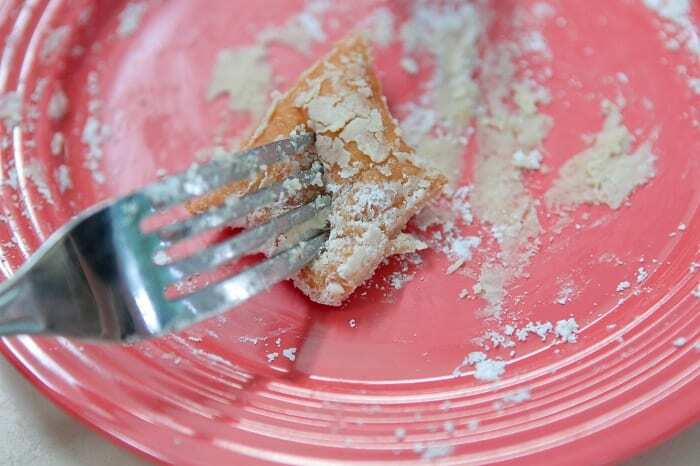 My friend just brought me a box of beignet mix! 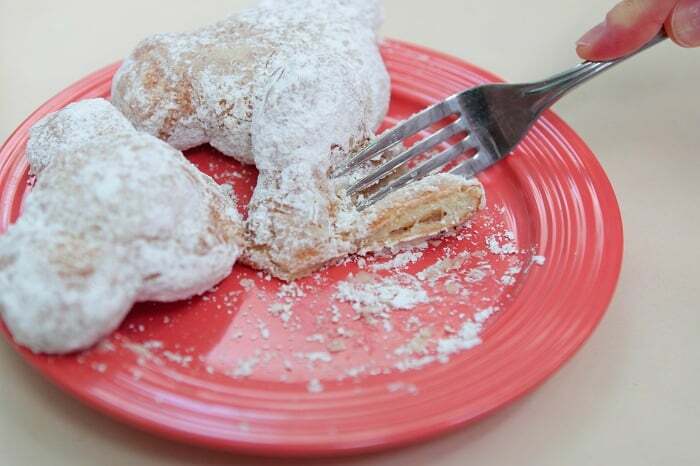 They were heavenly. Im dreaming about them right now! Thanks for your Disneyland info, Jenny! My husband and I are taking our 3 kids in December and I am so grateful for your info. Great recipes, too! I am just loving all these Disney recaps…I haven’t been there in forever and it makes me miss it even more and want to go back soon! I met a guy to talked about that club. He says it’s a $20K buy-in with $10K annually thereafter. And the wait line in 17 years long. I love me a Dland Mint Julep! 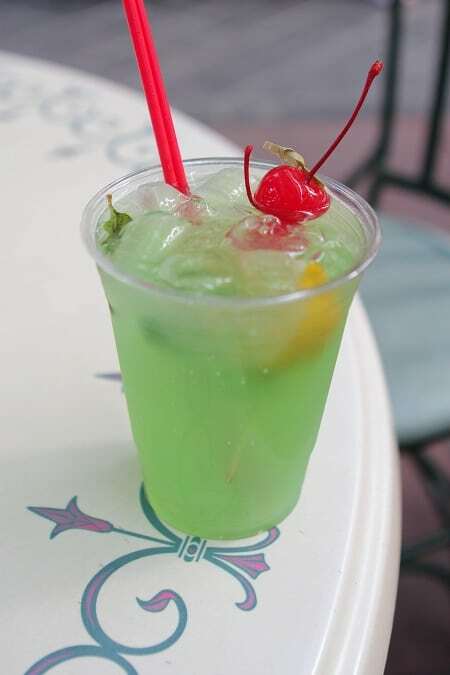 I’ve never had a mint julep before, but maybe I should try one from Disneyland. Clam chowder in a bread bowl and a mint julep…absolute perfection. Thanks for your posts! Next time I go, I am definitely trying the clam chowder, it looked great! That salad is definitely some of the best amusement park food I have ever had, doesn’t taste like your typical amusement park food! I love that thing! Now that our passes just expired, I am going to be craving it I’m sure…hoping to renew the passes soon and get that salad again! We stopped here late one night for dinner, and I had the red beans and rice with sausage. It was pretty tastey, but I got FOOD POISONING, and was so sick the next day! We missed over half of the day at Disneyland because I was SO SICK!